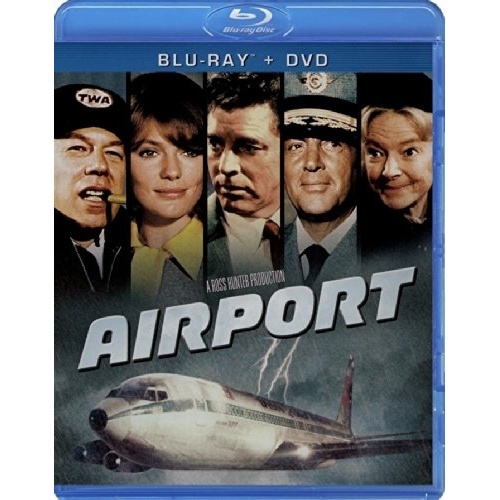 Combining a gripping story, intense action and ground-breaking special effects, Airport paved the way for a whole new style of disaster film and became a trend-setting box office blockbuster. The tension filled adventure stars Burt Lancaster as the manager of an international airport who must juggle personal crises with professional responsibilities as he attempts to keep his blizzard-torn facility open to rescue a bomb-damaged jetliner. Featuring a stellar ensemble cast that also include Dean Martin, Jacqueline Bisset, George Kennedy, Maureen Stapleton and Helen Hayes, this unforgettable film was nominated for 10 Academy Awards including Best Picture and remains a suspense-filled trip from take-off to dramatic landing.